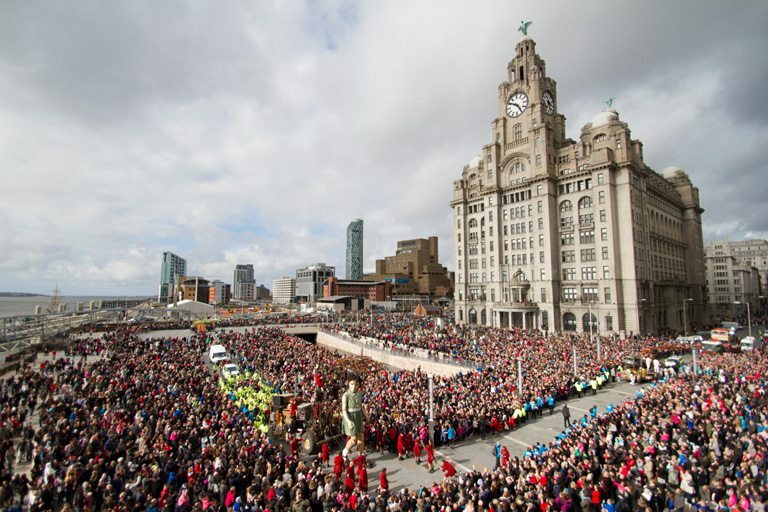 Over the weekend of 20th – 22nd April, 2012, Liverpool was invaded by an army of Lillipution foot soldiers and their giant protégée! 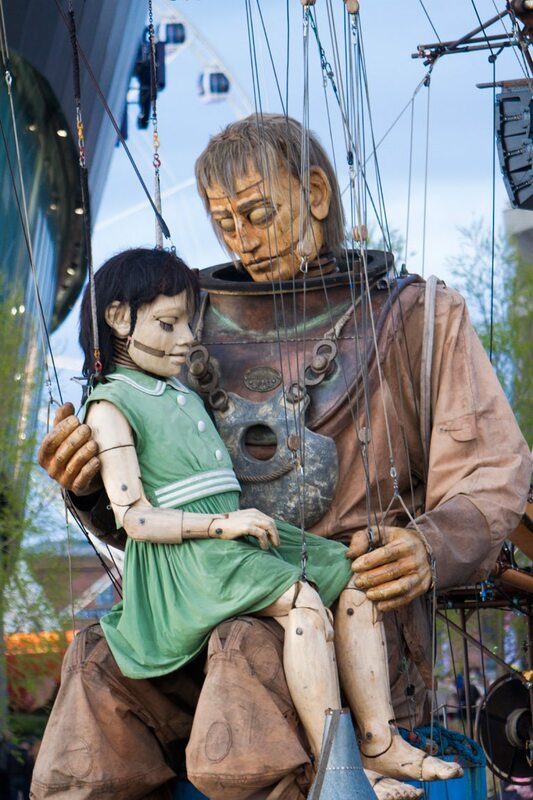 I don’t think that anyone who witnessed the event (there were an estimated 600,000 over the weekend) will ever forget the three giant marionettes; the Little Girl Giant (30ft/9m tall) with her dog Xolo, her Uncle (50ft/15m tall) and indeed the small army of puppeteers, who spent the weekend journeying through the streets of Liverpool. 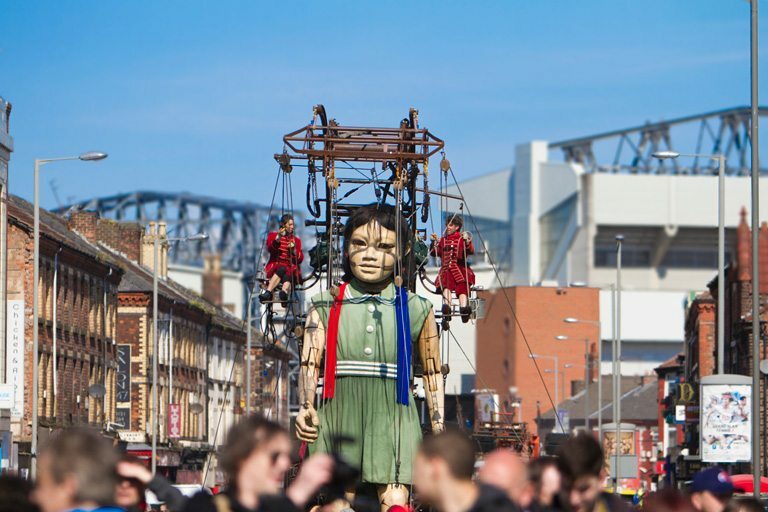 The “Little Girl Giant” was based on a young girl from the Kensington area of the city who had written a letter to her father who was on-board the doomed RMS Titanic. Her father was fate-bound never to read her words. Her uncle (as the now fictional story continues) retrieved the letter from the wreck of the Titanic and returned it to her during a highly emotive and heartwarming reunion. The atmosphere of the crowds was both electric and ethereal – people were truly awestruck at the operation and scale of the event and in equal measure hopelessly emotional as the story unfolded. 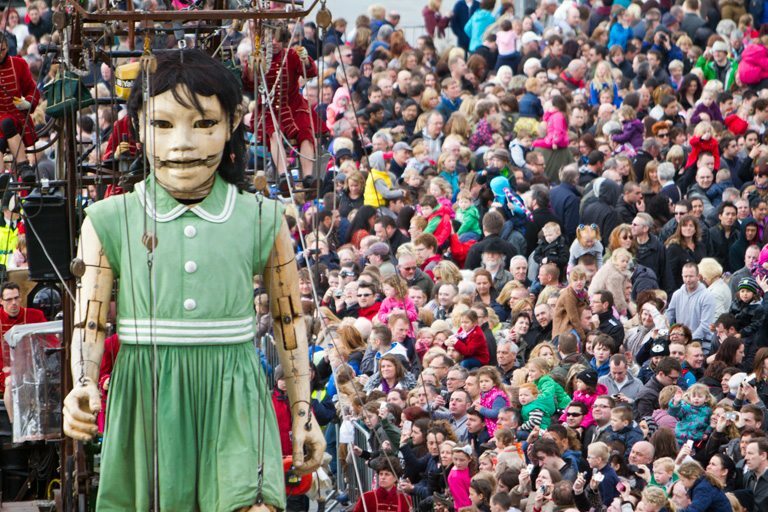 The French company in charge of procedings, Royal de Luxe, managed the seemingly impossible, by not only delivering a jaw-dropping spectacle, but touching the hearts of every onlooker on a very personal level.